Fall finally feels like it’s coming to the Lehigh Valley and that means it’s a good time to do a little bit of car maintenance before the really cold weather hits. Here are a few tips from 24/7 Emergency Locksmith to keep your car in tip top shape through the autumn months. A lot of these may seem like common sense, but a reminder never hurts. You’ll be using your headlights a lot more during the fall, which is all the more reason to make sure they are working. Don’t stop there, though. Check all of your vehicle’s lights since they are all the more important with shorter days on the horizon. Rain, leaves, snow, check. Your wiper blades are going to be getting more work during the fall, be sure to replace blades that show a little wear on them. Yep, check ’em all. 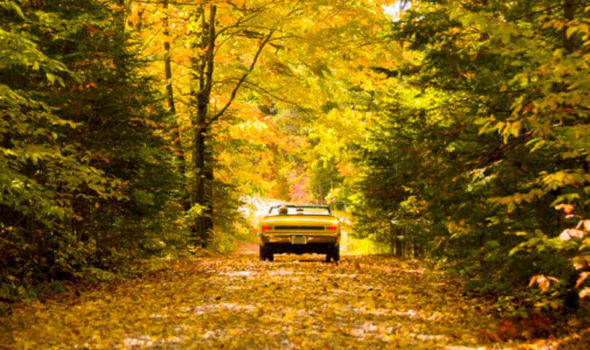 There’s never a bad time to make sure your oil and windshield wiper fluid levels are topped off, but fall is a good place to start. Break out the dipstick and make sure you’re filled up. Is there a worse feeling than your car not starting because your battery died? It’s not a bad idea to have a technician check your battery to make sure that it’s still up to snuff for the coming winter, especially if it’s a few years old. Did we just tell you to go get your car detailed? Yep. But, even if you don’t want to spend the money on a full detail, even a good wash is a nice way to spot potential problems in your vehicle. Fall in the Lehigh Valley is always a beautiful time. Make sure that you keep it fun by having your car at its best. And, of course, call us at 24/7 Emergency Locksmith for all of your locksmith needs.